For more information visit the Brunswick Billiards website. The mid-level table in the Brunswick table tennis lineup. 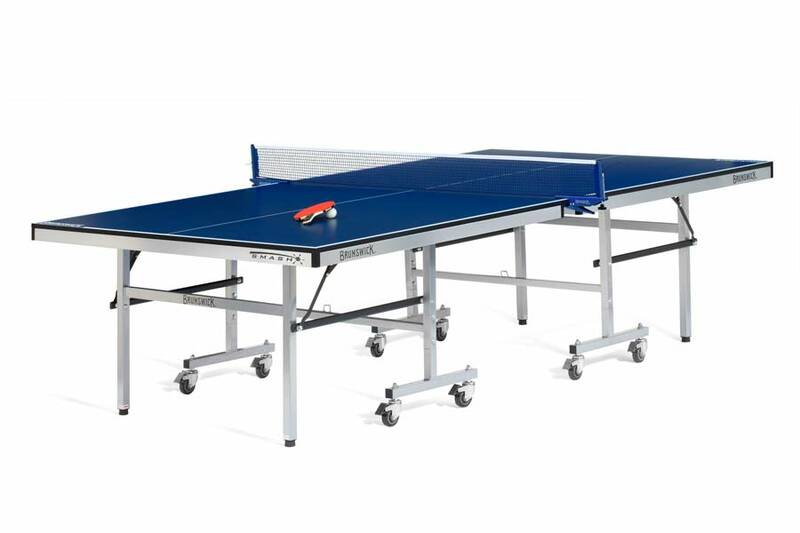 This is our most popular table tennis table. The Smash 5.0 features a handsome blue play surface with matching net and net clips. With an 18mm-thick playing field for great stability and even greater shots, an undercarriage and caster system designed for strength and mobility, and fold-up capabiity for easy storage.